With the arrival of a World War on their door-steps, rural Canadian towns and cities were subject to a unique experience of the Great War, one where British and American spheres of influence met and overlapped, where devotion to the Cause of Empire jostled against isolationism, and where patriotic expectations warred with anxiousness over the unknown circumstances across the Atlantic. Camrose, Alberta, a small rural centre during the years 1914 to 1919, embodied these very feelings of both optimism and the grim reality of war on the Home Front. Busy with local war efforts, calls for greater farming production, and managing a new college, the picture of Camrose life during the Great War presents an image familiar to many Canadian and American towns across the plains and prairies. This website is part of the Century America Project, an initiative aimed at commemorating the experience of the Great War sponsored by the Council of Public Liberal Arts Colleges (COPLAC) and the Teagle Foundation. 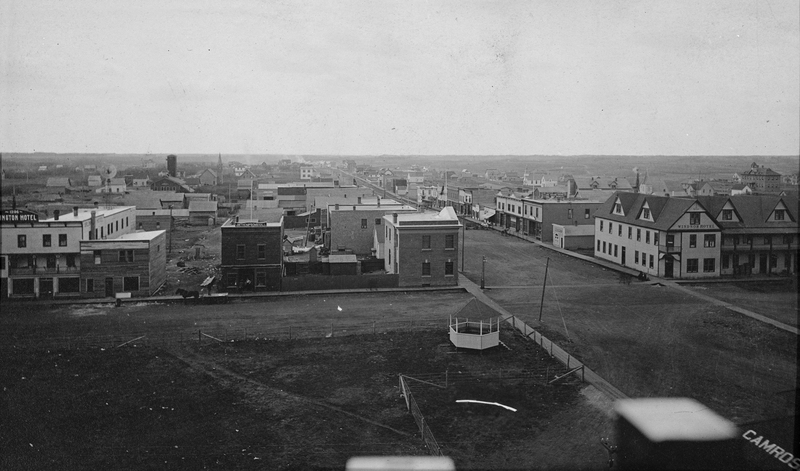 As such, this site is intended to provide an illustration of what life was like for the Camrose resident during the time in which the world was at war. From local, provincial, and federal propaganda to the expansion of farming unions, and from the struggle over prohibition and women’s rights to the experiences of soldiers in the trenches, the experience of Camrose’s Home Front during the First World War will be preserved and perpetuated, lest we forget.